Fortress Of Freedom Board :: View topic - Dave Getchell's Book is Released! 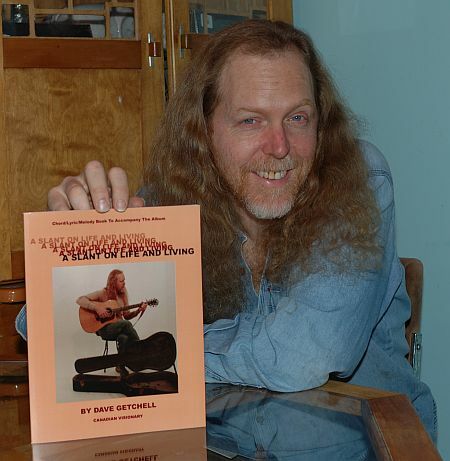 Posted: Fri May 04, 2007 11:19 pm Post subject: Dave Getchell's Book is Released! Dave's book, albums and newspapers on display! The Fortress Of Freedom Corporation is excited to announce that Dave Getchell's Book "A Slant On Life And Living" is officially released! 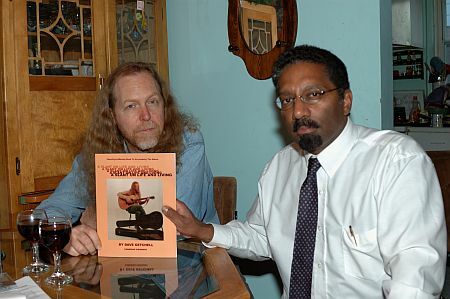 The ceremony to release the book for sale took place at the Getchell residence with Dave surrounded by his family. Dave then entertained us by playing a sample of the music in the book and then signed copies for me to give to the other musicians. Dave Getchell and Maurice Ali at the presentation ceremony! 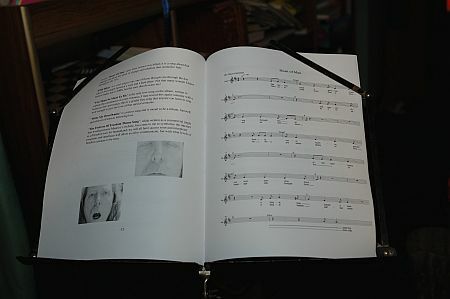 "A Slant On Life And Living" is primarily a book of music based on Dave's first album by the same name released in 2005. The book alternates from text to real musical lyrics and notes. Dave stated that the hardest parts were notating the long songs. 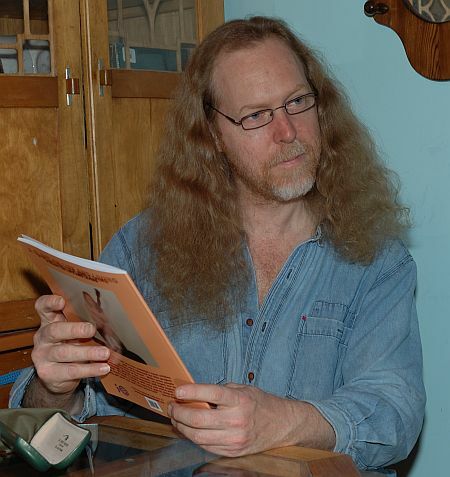 In any event, Dave finished his first book and is now looking toward his next projects. Dave gives some critical analysis on his first book! 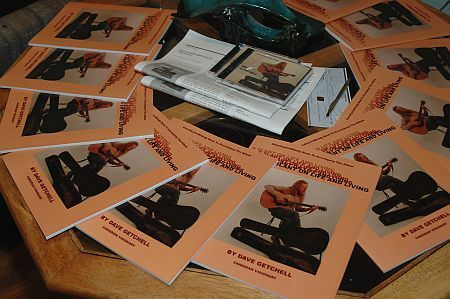 All of us at FOF congratulate Dave Getchell on his accomplishment and expect more from this talented singer/songwriter in the future. Dave's book ready to use!